In association with Asia Reveal Tour, Laos. 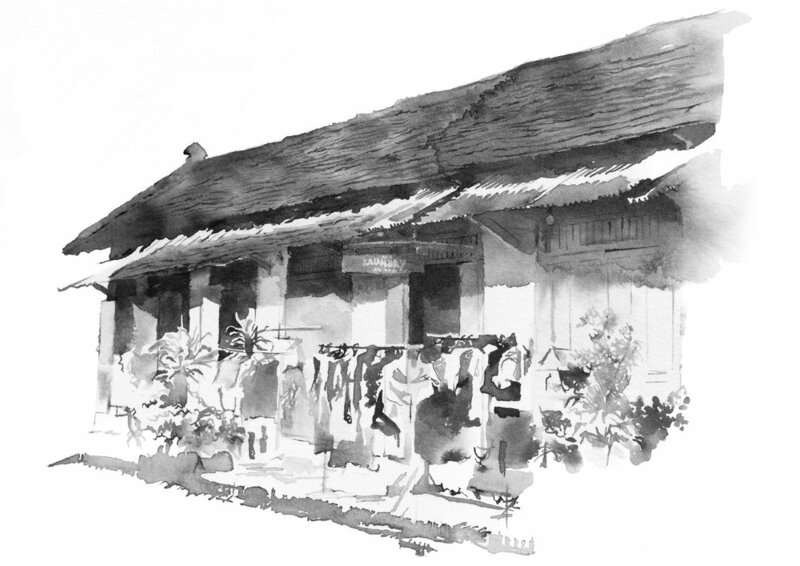 Sketch Walk Luang Prabang is a half day long sketching workshop. The workshop focuses on observational drawing so we will be working on location, be it on the street in front of old shop houses or in the grounds of a temple – drawing from life. Unless you have your own materials, we will work in sketchbooks in graphite pencil. It doesn't matter whether you want to learn some basic drawing techniques or develop your skills and confidence at drawing from life, Paul will provide guidance tailored to your needs. We will draw for about three hours stopping to review your work. 3 soft graphite pencils, 1 blender and 1 kneadable eraser. Discounts for groups of 3 people or more. Thank you for booking the workshop, we will be in touch soon.